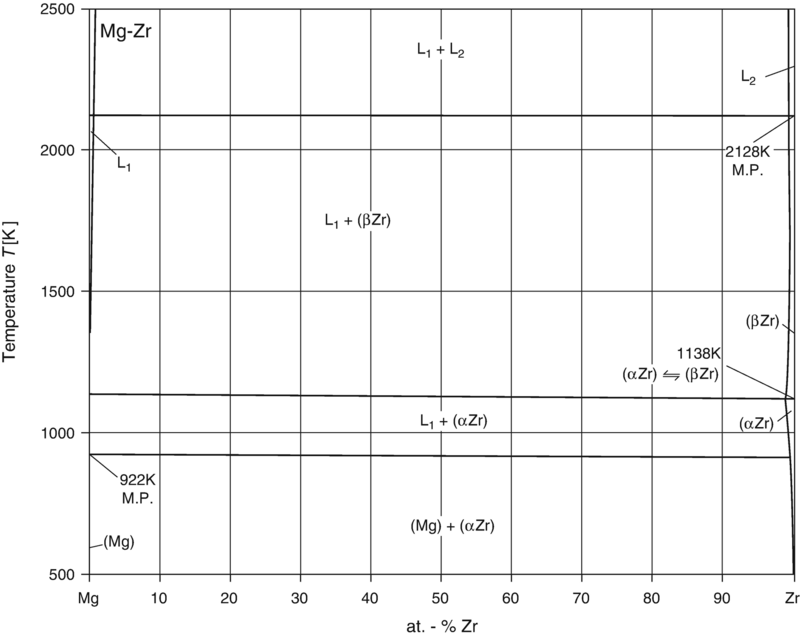 This chapter provides the phase diagram of Mg-Zr (magnesium-zirconium) system. Using thermodynamic informations from literature Hämäläinen et al. [99Häm] have calculated the phase equilibria. The phase diagram thus obtained is shown in Fig. 1. There is only little mutual solubility in the liquid as well as in the solid state. 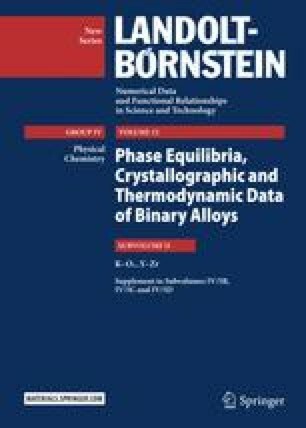 It should be mentioned that the phase equilibria for Mg-rich alloys (<2 atom-% Zr) have been presented in an enlarged version by [Landolt–Börnstein].